We take your privacy seriously. Your email address will not be disclosed to any third-party entity. (We manage the database via MailChimp, but only we see the addresses.) If you want your email deleted from his list, just let Terry know by email. Join the Cyclic Omniverse, the universe where Terry's worlds reside, and receive these free books, and meet the characters. Join the Void Gate, Terry's Facebook group! There are a few ways to get free books. You can also join my Patreon page or you can simply subscribe. Becoming a patron also gives you access to tons of other exclusive content,giveaways, and prizes. 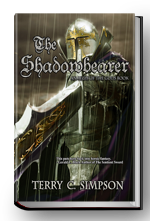 The Shadowbearer is an Aegis of the Gods story. 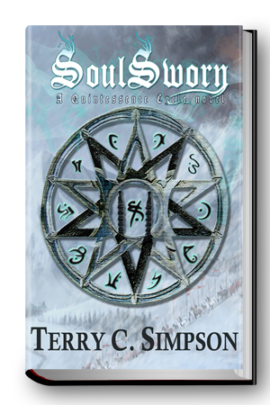 Soulsworn is a Quintessence Cycle story. 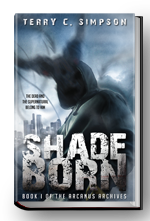 Shadeborn is the first book in my urban fantasy series.